Vodafone has announced a new Rs 199 recharge plan exclusively for its prepaid customers in the Delhi-NCR circle. Under the prepaid recharge, users will get unlimited calling capped at 250 minutes per day and 1000 minutes every week as well as 1GB of 4G/3G data with a validity of 28 days. The 1GB of bundled data is not refreshed daily and is meant to last for the entire 28 days period. The terms and condition of the Rs 199 recharge state that after exhausting 250 daily minutes, users will be charged at 30p per minute. Also, after calling more than 300 unique numbers in a week, users will be charged 30p per minute for the remaining validity of the plan. Vodafone’s Rs 199 prepaid recharge rivals Jio’s Rs 149 plan which gives 4.2GB of 4G data for 28 days along with unlimited calling and texts. The Jio recharge also gives unlimited access to the company’s suite of apps such as JioTV, Jio Music and more. 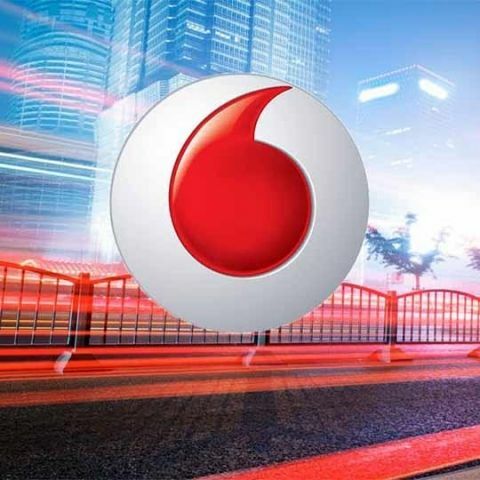 Vodafone recently announced its Rs 349 recharge prepaid plan which offers 1.5GB of 4G/3G data per day along with unlimited calling capped at 250 minutes every day or 1000 minutes per week. Users will be charged 1p per second after exhausting FUP. This recharge competes against Jio’s Rs 309 recharge plan which offers 1GB of daily 4G data for 49 days along with unlimited voice and SMS, and unlimited access to the above mentioned Jio apps. You can read more about the recharge here. Apart from Vodafone, Aircel yesterday launched three new prepaid plans priced at Rs 93, Rs 175 and Rs 349. The recharge plans offer bundled voice and data benefits but are exclusive to Aircel users in Kolkata. The first Rs 93 prepaid recharge offers local and STD calls at 20 paise per minute along with 250MB of 3G. It also offers 50 SMSs and comes with one-year validity. Aircel’s Rs 175 and Rs 349 recharge plans offer 1GB of 3G/4G data along with unlimited voice calling and 100 SMSs. The Rs 175 recharge is valid for 30 days whereas the Rs 349 plan comes with an extended validity of 84 days. All the three aforementioned recharge plans by Aircel are only valid in the Kolkata circle. Read more about Aircel’s recharge plans here.